I recently saw a Hardware Aisle post about The Pulverizer™ from Ames True Temper/Jackson Tools. 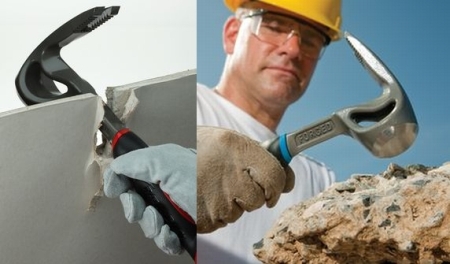 It’s a new fully-forged, heat-treated, multi-purpose concrete and demolition tool. The 12.8″ long Pulverizer™ weighs 3.5 pounds, has a heavy-duty 1-1/2″ faced sledge head, claw teeth, a 2″ scraper with nail puller, a triangular-shaped area below the head for ripping through drywall, and a shock-dampening, textured, TPE grip. It will be available this spring at leading retailers (Ace Hardware, True Value, Orchard Supply, Amazon…) nationwide. Its “possible” retail price is $39.99, but you can get one online now for $40.24. What do you demolition and concrete experts out there think? Would this be a tool to add to your belt? I noticed they market a fabulous, innovative, snow shovel also. @tedknaz Looks like it to me. Though lighter and without the FUBAR’s 2×4-gripping jaws. The Stanley Fubar comes in small, medium and extra large sizes. We actually like that tool – not so much for demolition but for twisting errant framing into place. Along with a Cepco BoWrench and QuikJack, a Mayhew Tweaker and a Vaughn Bowjack we tackle most deck-framing projects. 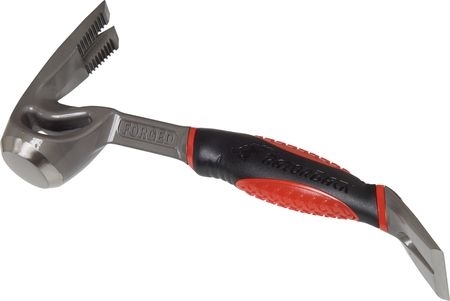 Was in Sears the other day and saw the Stanley FatMax FuBar. I picked it up, and it was a real chore to put it down again. I was Christmas shopping and tried real hard to come up with a reason my wife needed one! Oh well. The TOH article says this thing is useful for busting up concrete. Has anyone actually tried it for that? I can’t see this tool doing very well busting up concrete. Especially if the concrete contains coarse aggregate.